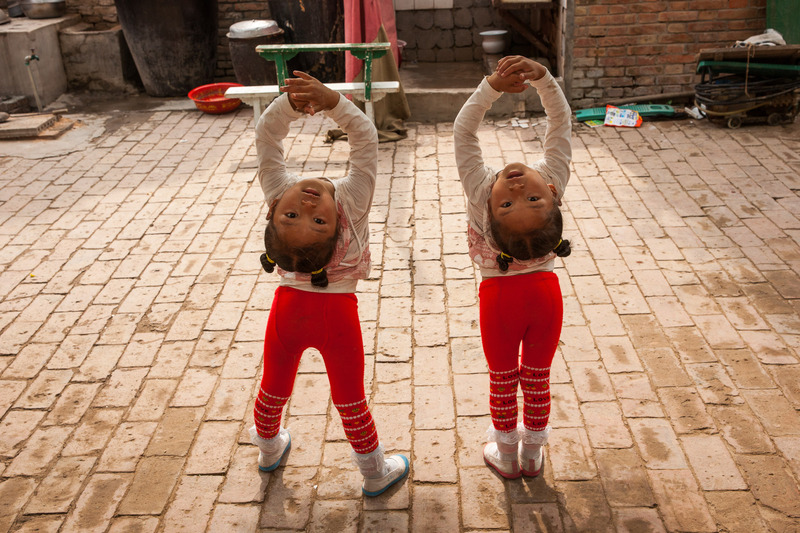 Three-year-old twins are among the youngest students at the Changfa Acrobatic School in Wuqiao County. Their program includes tumbling, juggling and a basic education; tuition, room, and board is $150 a year. Thought the canal is now dry in this area, it once ferried acrobats to performances in port towns.